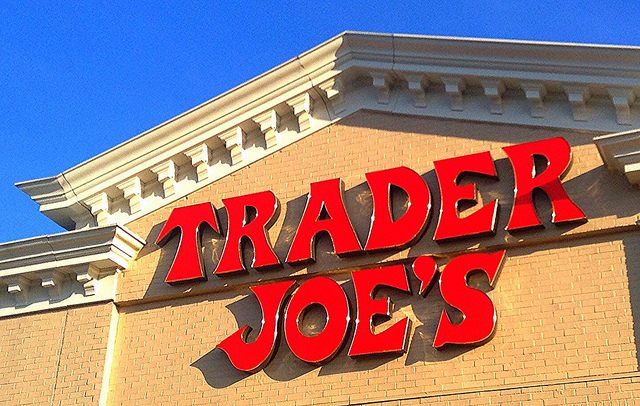 Trader Joe's has some of the most loyal customers in the grocery sector according to Satmetrix's Net Promoter Industry Benchmarks Report . Photop by flickr user Mike Mozart. Loyalty can be an elusive quality to track. Sure, you can measure usage of a loyalty-type rewards card, but that's more for determining purchasing trends than the emotional tie a customer has to a brand. The San Mateo, California customer data company Satmetrix is out to connect those two data points -- and it's already made a few surprising connections. In its annual Net Promoter Industry Benchmarks Report, a survey of over 30,000 U.S. consumers, Satmetrix found that Trader Joe's has some of the most loyal customers in the grocery sector and that Blackberry is on the rise after years of challenges. The survey collected data on the brands consumer behaviors such as the likeliness of getting a referral or repurchase rate. The company crunches the numbers to create a Net Promoter Score. "A high Net Promoter Score means that a company is more likely to experience lower customer acquisition costs, greater customer lifetime value and, ultimately, more sustainable growth," said Brendan Rocks, head of data science at Satmetrix. Trader Joe's topped the grocery/supermarket sector for the fifth time in six years. The store is known for their commitment to customer service and general low prices. Fast Company attributes some of the retailer's customer service successes to how well they treat their employees. As for BlackBerry, it's not just Kim Kardashian and rapper Drake who love the once-ubiquitous smart phone. Although BlackBerry had the lowest score in the smartphone category, it had the highest increase--up 15 points from last year--in the 2015 study. "While Apple and Samsung have the two highest scores, BlackBerry's NPS is now roughly equivalent to Nokia, HTC and Motorola," said Rocks. "This is a quite a turnaround from a year ago, where there was a significant gap between BlackBerry and everyone else. The new models released over the last year seem to have helped; we measured increased perceptions of screen quality." Other findings weren't so surprising. Basically, everyone still loves Apple, Amazon and Costco. The report also backs up the trend of people abandoning their cable television provider (many of which had ratings) in favor of online video service Netflix, which had the second highest raise in an NPS score after BlackBerry.